The book ‘Spy Chronicles’penned by the spymasters from the two neighbouring and antagonistic countries, written in a unique collaborative manner provides a rare insight into the political and strategic dynamics of the region. Former RAW chief AS Dulat and his counterpart in ISI -Asad Durrani have come together to put it in black and white their memories, experiences, vision, and perception on a variety of burning controversial issues. Hamid Ansari’s words “Yeh deewangi kab katam hogi’ –When will this madness end,” provided the mandate for the book as claimed by both of them. The sleuths from across the Radcliffe line have been in a competition mode for decades and the information provided in the book, however scant, will enable to understand the past and maybe influence the future strategies on both sides. 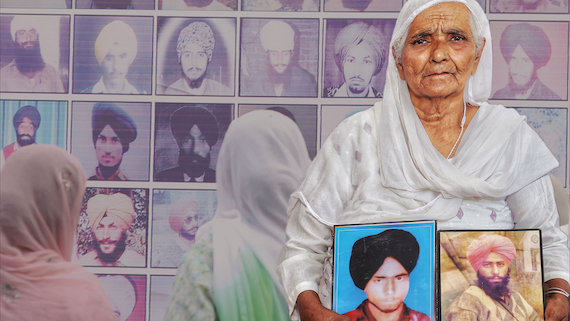 Being a part of the Sikh struggle for the right to self-determination, I have always maintained a keen interest in watching and assessing the working, mindset, and operations of these agencies on both sides of the barbed wire. The authors have shared their views on a variety of topics especially Kashmir and the missed opportunity for peace, the deal for Osama Bin Laden, Indo-Pakistan relationship, the spy Kulbushan Jadhav, Hafiz Saeed and 26/11, Akhand Bharat concept, the failed Agra summit, the so-called surgical strikes and Pakistan’s Deep State. Each chapter is a section in itself and hence of interest to those who matter –the state agencies, the media and the struggling peoples. As the tension between the two warring neighbours continues to be high, the book proposses that India and Pakistan should institutionalize the dialogue between the heads of ISI and RAW. This is indeed a bold suggestion which the two countries can take up for peace and stability in the region. The former Pak ISI chief Durrani has observed that USA’s great success is its ability to control the narrative. This region has produced more terrorists because we dub them all as terrorists. The Sikhs, Kashmiris, TTP, the Afghan Taliban, the Baloch dissidents- they are ethnic dissidents and political dissidents, but all of them are lumped together as ‘terrorists”. Durrani quoted the example of Al Faran- a little known Kashmiri group that disappeared after abducting and subsequently killing foreign tourists in the valley. As per Durrani, it was probably a false flag operation by Indian intelligence and after these killings were attributed to them, the Kashmiris were no longer freedom fighters. I believe that this is where the narrative has to be changed as suggested in the book. Once the primary perception changes, other decision-making can follow in the right direction. It emerges from the book that the Kashmir issue dominated their conversation. On American interest and role in Kashmir, both expressed an interesting viewpoint. Durrani was of the view that the American ability to contribute in Kashmir is limited. He went on to add that God forbid if both the countries go to war and accept the US as a mediator, the latter will favour India. Dulat had an assessment that whatever interests the Americans had in Kashmir, it all stopped after 9/11. It shook the Americans and overnight freedom fighters became terrorists. He, however, agreed that Americans are happy to see Khatpat-discordant notes between both the countries. The conversation between the two top “Sherlock Holmes’ of South Asia gives an indication as to they were keen to resolve the issue of Kashmir which was considered imperative for peace between the two countries. Not to be taken in by the massive TV blitzkrieg about the so-called military surgical strikes by India, Durrani termed the surgical strikes after the Uri attack as nothing but a political surgical strike to give India a space for saving face and cooling down tempers in Kashmir in the wake of the indigenous uprising in August 2016. On the killing of Osama, Dulat believed that Pakistan cooperated in some way or the other. Durrani is forthright in revealing that one of their former intelligence officers walked in and told Americans about Osama’s presence. He didn’t reveal the name of that ex-intelligence officer but said he is missing from Pakistan since then. Once Americans knew it, they might have asked Gen Kayani either to cooperate or threatened to go ahead at their own. To this, Gen Kayani must have tried to bargain with Americans as to what would they get in return. As per Durrani’s assessment, the deal was “reasonable exit strategy on Afghanistan” which the clever Americans didn’t honour. As the entire Sikh leadership in Afghanistan was wiped out in a recent suicide bomb attack, the chapter entitled ‘Selfish Self-interests in Afghanistan’ is worth reading to have insight into the fragile and complicated situation in Afghanistan and how world powers have precipitated the civil war in Afghanistan to meet their selfish interests. Dulat is of the strong view that without talking to the Taliban the civil war will continue endlessly. He is critical of the Indian policy in Afghanistan, which he thinks is highly dependent on American policy. Both the spymasters were on the same page that the American policy on Afghanistan has not changed under the Trump administration. Durrani was more blatant on Afghan president Ashraf Ghani terming him an American yes-man and more harmful to Pakistan than his predecessor. He quoted how he bad-mouthed Pakistan in Amritsar by riding piggy-back on Modi’s shoulder. When Dulat suggested that the generals don’t want war so the dialogue between the generals or armies of both countries is necessary, Durrani endorsed his views. Surprisingly, to drive the point home, Durrani quoted two former Mossad chiefs, who during the Pugwash Conference in Berlin had said that going to war against Iran was the stupidest idea. To break ice between both hostile countries, apart from other measures, Dulat suggested Pakistan to invite Ajit Doval –the incumbent NSA- to Lahore. Striking a discordant chord, Durrani said, as of now, Doval is one of the most disliked persons in Pakistan. Dulat’s talks remain Kashmir-centric and he wants India and Pakistan to keep talking even if wavers to abusing each other. 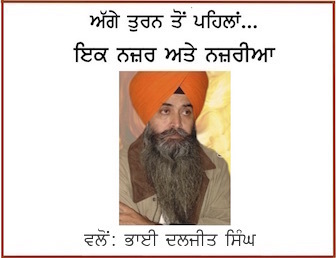 Dulat, who was born in a Sikh family, has hardly talked about the Sikh movement except that India got inputs from Pakistan’s elected government in the late 80’s on Sikh militant activities. On this, Durrani’s reaction was that it adversely affected the Kashmiris fighting for their freedom as there was a link between Sikhs and Kashmiris fighting against the common aggressor. Interestingly, Durrani is one of the few officers who faced the wrath of Indian propaganda for helping Sikh insurgents during his stint as Pakistan’s High Commissioner in Germany. Both the top snoops have expressed negatively for the media on both sides. Discussing surgical strikes, Durrani said he had no good words for Pakistani media. To which Dulat said ‘our media is worse than yours’. Without mincing words, Durrani confirmed that both agencies finance TV channels in the belief that these will work for them. He pointed out that Indian intelligence agency even sponsors TV channels by pumping millions of dollars to wage psychological warfare. * Author is spokesman of a pro-freedom Sikh group called the Dal Khalsa. He may be reached via email at: dalkhalsamail(at)gmail(dot)com.